I’m often asked if I listen to a variety of music when I’m not teaching. I'm pretty sure some people think I only listen to children's music 24 hours a day. *giggle* Not so much. The answer? Absolutely! I can honestly say that I like a little bit of everything. I try to reflect this in my teaching and choose songs from a variety of genres. Some kids aren’t sure what they like or don’t like so I want to give them a smorgasbord of choices. My daughter is three and loves to sing and dance and listen to music. Unfortunately for me, she wants to hear the same song over and over. It’s not her fault. It’s how her brain works and helps her learn. My son did the same thing when he was younger. 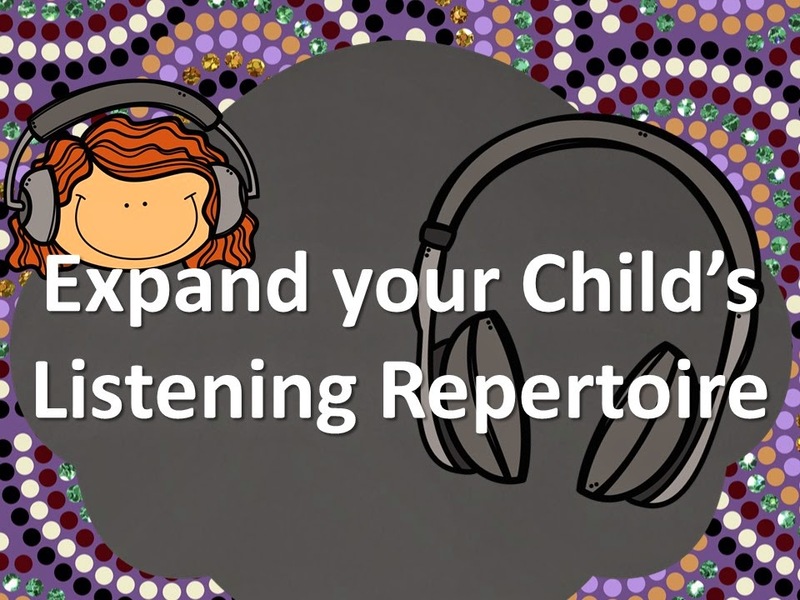 If you are trying to teach your child to enjoy more than one style of music or maybe even just more than one song, make it a game! To play Freeze Dance choose a few songs of different genres and tempos. Play the song and dance, dance, dance with your child. Occasionally press pause and freeze just like you were. The poses are so silly and fun that your child will want to play all the time! Here are some suggestions for songs to use in different genres. Do you have other favorites that you use with your students or children? Let me know in the comments. I'm always looking for new additions to my collection. March is Music in Our Schools Month! Hurray! It is my favorite teaching month of the year! Each year I plan a bulletin board that students can contribute to. One year it was a singing paper place person. 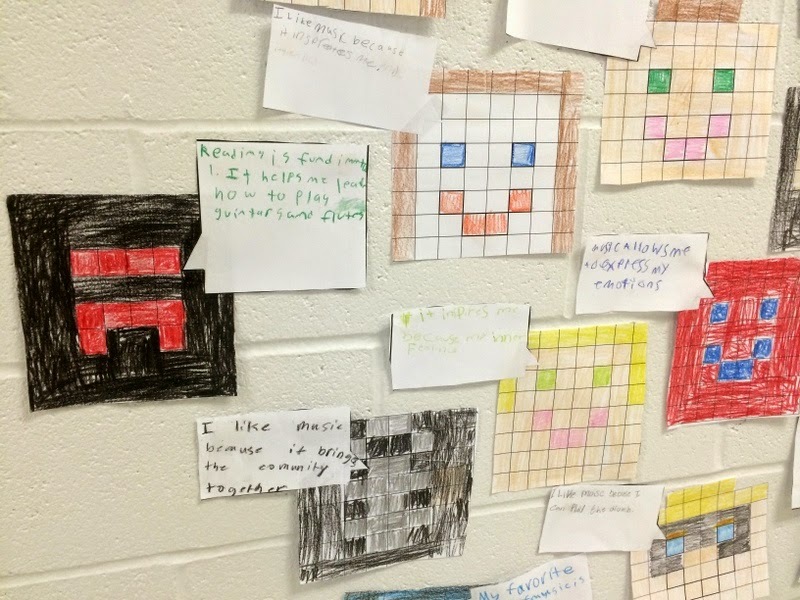 Hundreds of them filled the hallways. Another year we created paper t-shirts and "hung out" in the hall. 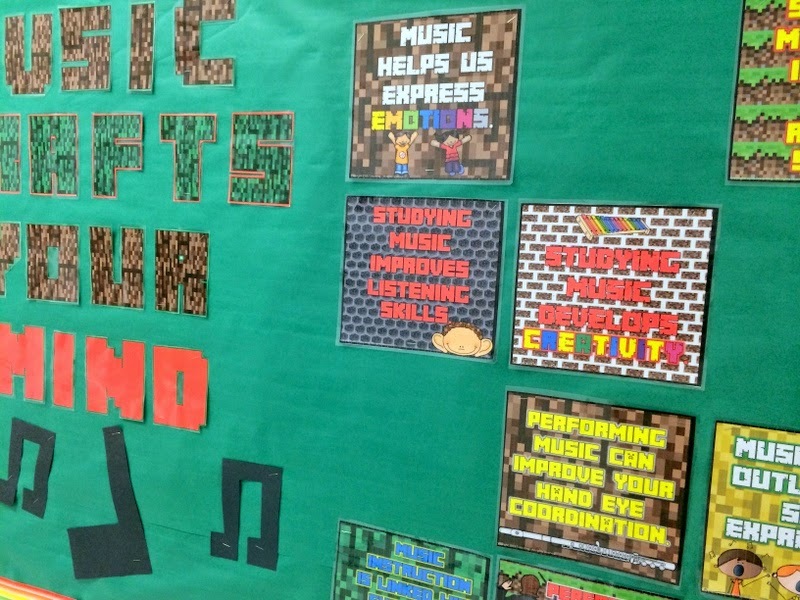 This year, I've posted a Minecraft inspired bulletin board called "Music Crafts Your Mind". My favorite part of this bulletin board is the student portion. I used blank templates for little blockhead avatars. They customized them and then added speech bubbles with music positive messages. Take a look at some from the first batch I posted. The kids loved contributing in this fun way and it has already stopped traffic in the hallways as students and teachers pause to take a look at the Music In Our Schools Month messages. You can get this bulletin board HERE. Hurray! 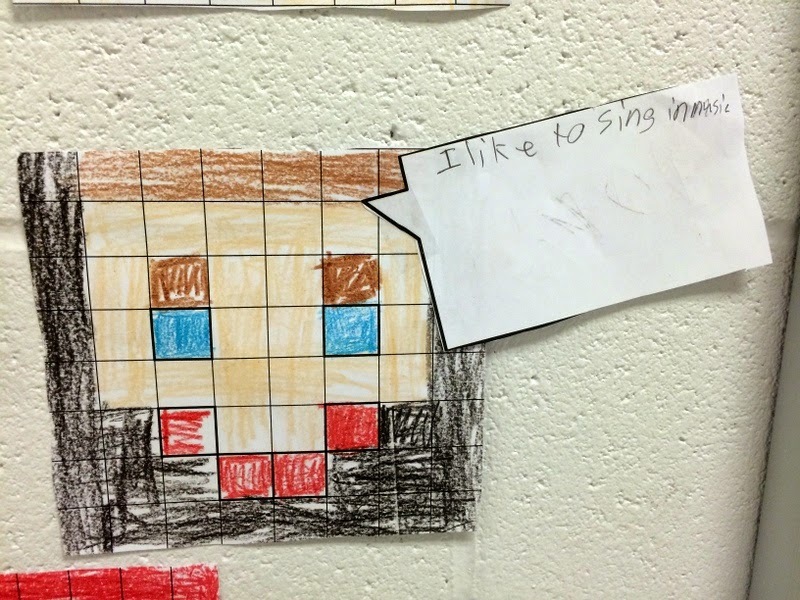 It is Music in Our Schools Month! My favorite teaching month of the year! One of my favorite things to do to celebrate MIOSM is to connect students with the musicality of people around them. 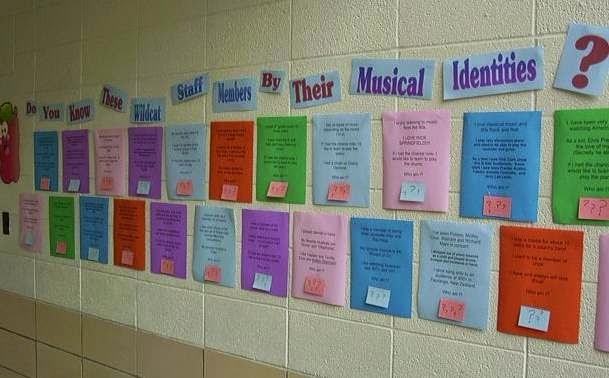 I've sent home music interest surveys to parents, played "find a friend who..." games where students find others that like the same kind of music that they do and I've created bulletin boards that showcase the musical backgrounds of teachers and staff members. March is Music in Our Schools Month. This month long celebration of music education is facilitated by the National Association for Music Education and has been celebrated in some capacity since 1972. The goal of this month is demonstrate the significance of music education. Would you help me with this year's celebration? This year I would like to create a bulletin board that showcases the musical backgrounds and/or tastes of teachers and staff in our building. Attached is a short, 10-question survey about your musical background and current musical activities. Please take a moment to complete this and return to me by February 20th. Your answers will be compiled into a brief narrative and displayed just outside the music room. Your name will be hidden and students and staff members will have to guess who is being described. Don't worry! The answers will be posted too. Look for this display in March. 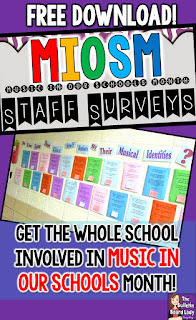 Thank you for participating in this survey and for your support of music education in our school! 3. Next, print out the responses. I usually cut out a small piece of cardstock or use a colored index card and lay over the name at the bottom. Place a piece of tape at the top so that viewers can lift it and see the name of person described above. In the picture below I created the descriptions to be display in half sheet size. In the display below, I used a full sheet layout. Do You Know These Staff Members by Their Musical Identities? WHOOO Knows These Owl Pride Staff Members by their Musical Pasts? You can download a FREE copy of my survey HERE. 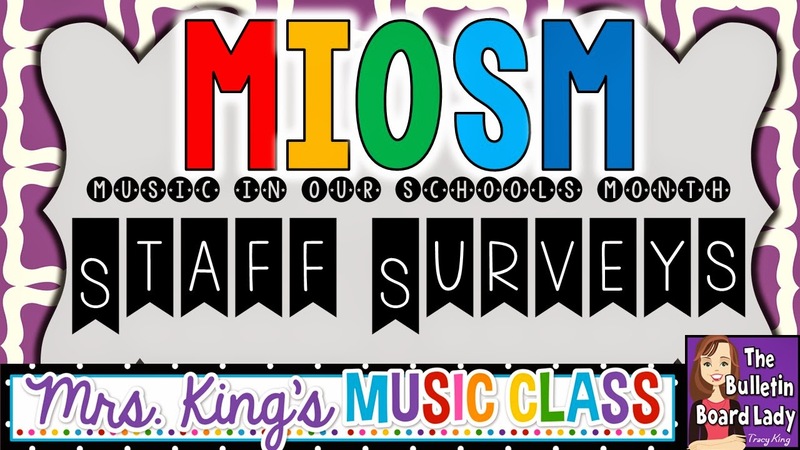 I'd love to see pictures of your display if you decide to survey your staff for MIOSM. You can email them to me or post them to my Facebook page. If you liked this idea, PIN IT for later! 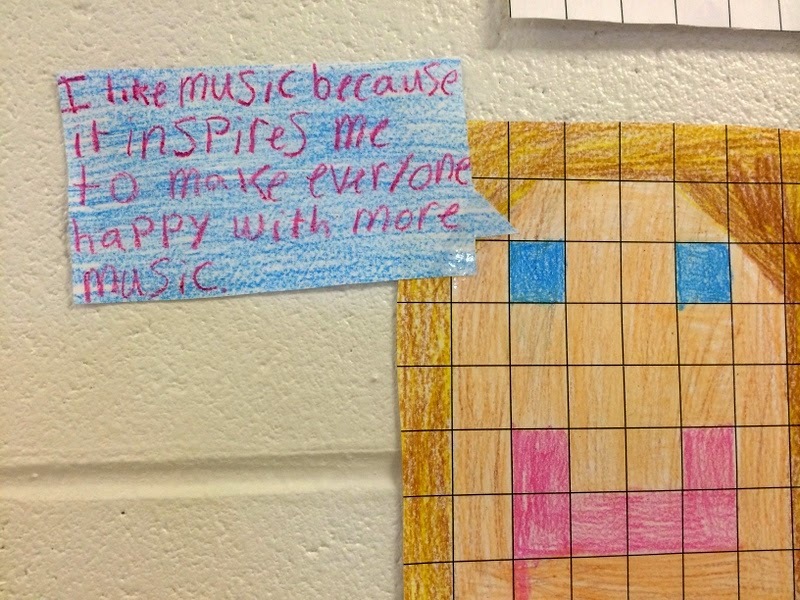 Happy Music in Our Schools Month!! !